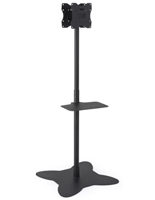 Buy Monitor Stands Online From the Monitor Stand Experts! 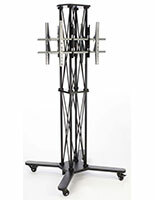 These Monitor Stands with Truss Post are Stable Displays that Hold Two TVs! 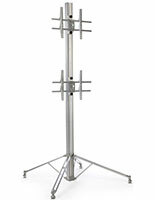 Stand positions a TV at an ideal height for optimum viewing. Fits 50"+ monitors, weighing no more than 80 pounds. 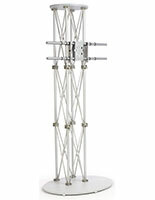 2 brackets maximize the presentational area of the stand. VESA compatibility corresponds with standard measurements (except those with a width of 200mm). This TV stand with mount is capable of displaying two televisions together on one fixture. The floor-standing flat panel monitor display gives users the ability to incorporate digital advertising into a presentation in a stylish and space-saving way. The TV stand with mount that holds either vertical or horizontal televisions is fitted with two VESA-compatible brackets, which will match most brandname models, including Sony®, Vizio® and NEC®. 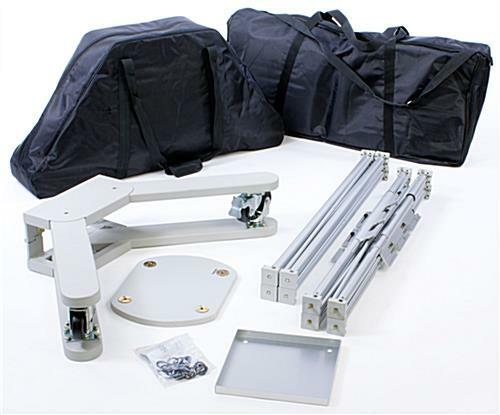 Display two 50"+ flat screens, that individually weigh less than 80 lbs. The TV stand with mount that measures 83-1/2" tall includes two height-adjustable mounting brackets. Each monitor can be displayed as high as 69" or as low as 60". This TV stand with mount creates a two-sided exhibit, which captures the attention of audiences from any direction. The floor-standing television display is therefore ideally meant for use during a trade show or within a hotel lobby or restaurant. 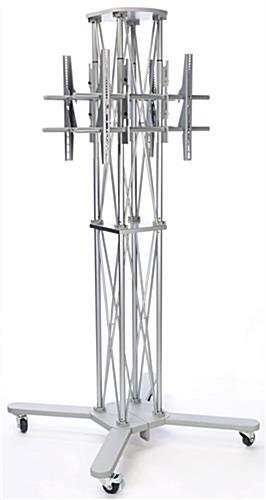 The silver TV stand with mount, also known as a plasma television-holding fixture, features a truss-like structure for a chic yet user-friendly design. The flat screen monitor holder breaks apart into a few separate pieces, thus making it incredibly easy to travel with and set up. In fact, no additional hardware is needed during assembly. 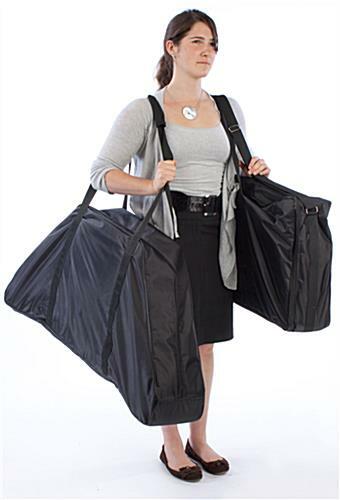 This portable TV stand with mount stores within two carrying bags. The freestanding LCD monitor display is constructed from durable aluminum and features a silver finish to blend in with any environment. 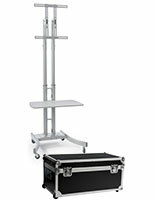 This plasma TV stand also has locking casters for easy portability to and from an location. Incorporate this flat panel monitor display into any front foyer or lobby entrance to welcome incoming visitors with a dynamic message that is both modern and inviting. 38.5" x 74.5" x 38.5"